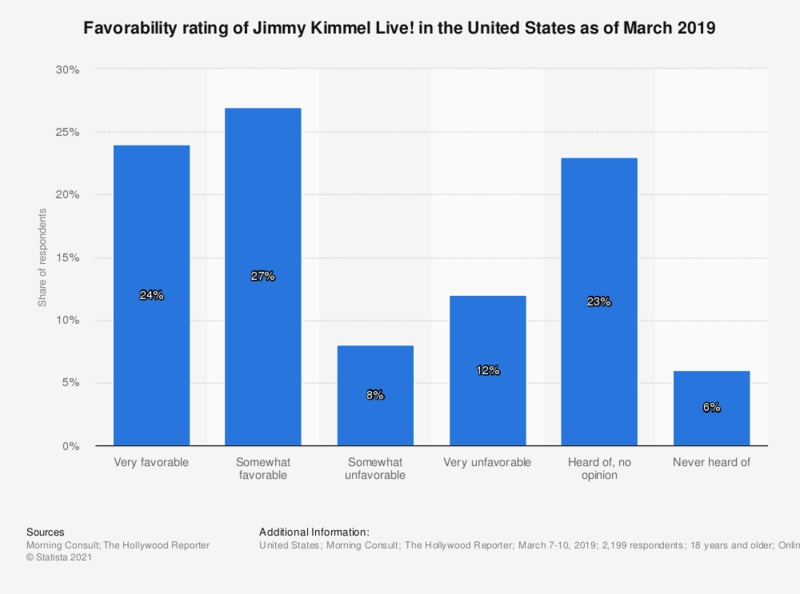 This statistic shows the favorability rating of Jimmy Kimmel Live! in the United States as of March 2019. Around 24 percent of respondents stated that they had a very favorable opinion of Jimmy Kimmel Live! as of March 2019, with a further 27 percent reporting a somewhat favorable opinion.